For the last few weeks to a month, Gavin has been sleeping MUCH better through the night. I have no idea what that little hiccup was, but thankfully it seems to be subsiding. He still wakes up VERY early (5:45ish) but now he creeps quietly up to our bedroom and crawls in bed between us. It is my new favorite thing. I LOVE IT! He’s barely awake when he does come up, and more often than not he ends up falling asleep for another hour or more. It’s pure heaven snuggling up with him and listening to him breathe in my ear. I wouldn’t trade it for anything, even if it meant him sleeping until 8 every morning. I will hold on to these little moments as long as I can because he won’t always want to cuddle with his mom. 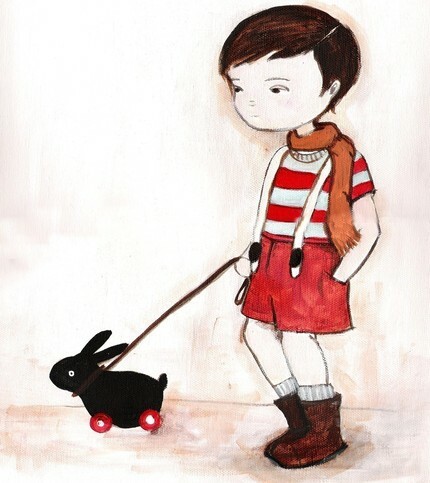 I snatched this print right up because oh how it reminds me of Gav. Hip and mellow. What a jaunty scarf! I love, love, love it (and it looks great hanging in his red room). For those of you who’ve asked, Gavin’s test results are back, but we can’t meet with the doctor until JULY 15th!! I asked if there was anything conclusive they could tell us over the phone and the secretary just told me we’d have to wait to talk to the doctor. So, it’s GF/CF for at least another month. Now that most Hy-Vees in the metro area no longer carry A2 milk (read about it in my April archives), we’ve switched back to almond milk. I have to say, I am noticing a difference in Gavin again. When we first started the GF/CF diet, I started giving him rice milk, then almond milk because of the texture. We did that for a few weeks until I tried A2 milk under the guidance of the Hy-Vee dietitian. We saw significant (positive) changes in Gavin right at first (while on rice/almond milk) and then his progress seemed to plateau once on A2. I’ve become increasingly frustrated lately at his lack of progress and wondered if A2 was really ok for him. For about the last week, Gav has been back on almond milk and I’ve been surprised once again at his progress. Each day he is more conversational and he’s been more willing to play WITH others, not just alongside. I don’t know if A2 was really the way to go, but we tried it and I guess it’s a good thing that I had to switch back. Almond milk is much cheaper and can be nicely stored up to a year in the cupboard. Hmmmm………. 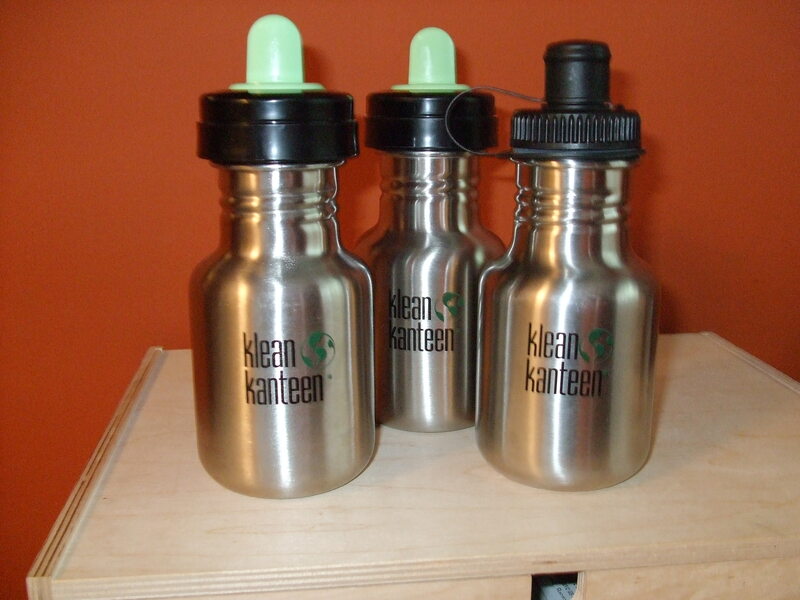 On another note….I have been informed that Be the Butterfly in Ankeny now has Klean Kanteens in colors!! Yay! We’ll be making the trek sometime next week to stock up on colored ones. How fun! (I never thought I’d get this excited about cups). 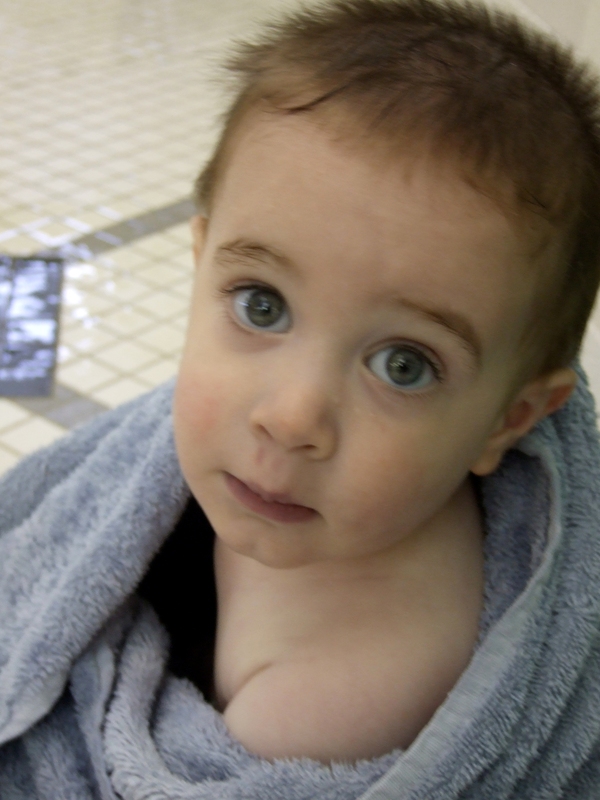 AND, we will be starting potty training on Friday. I was supposed to start this past Monday but our week got crazy busy with cousins and other fun things, so it has now been officially decided by the committee that we will begin Friday. I probably won’t answer the phone or get out of my jammies for that matter. Looks like it’s going to be a long weekend/week/month. I have officially stocked the Skittles jar (GF although full of other crap) and have bought the CUTEST Elmo underwear. If anybody has any suggestions I’d love some help! There’s a great article about potty training spectrum kids here, but any tips or ideas are welcome! I love my little water babies! 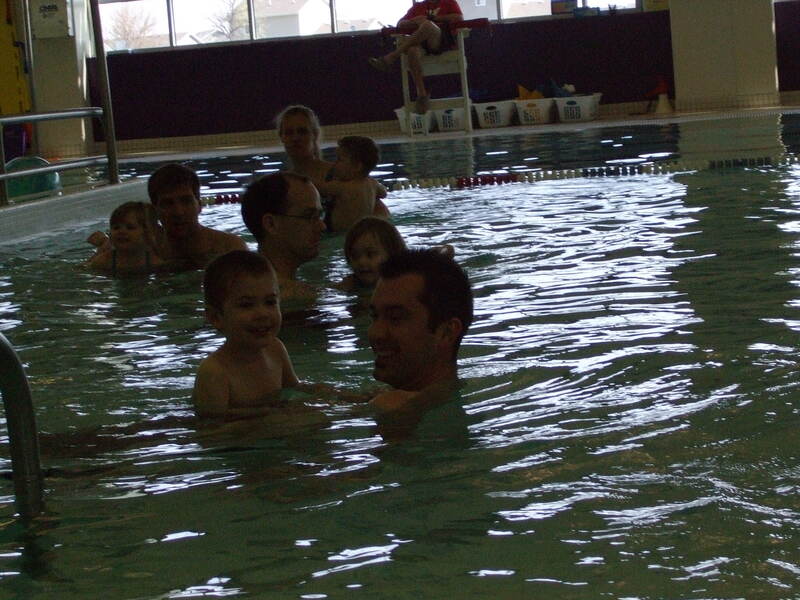 We recently finished up a month of swimming “classes” and we had so much fun. (A big thanks to Aunt Katie for filling in when Daddy had to work). 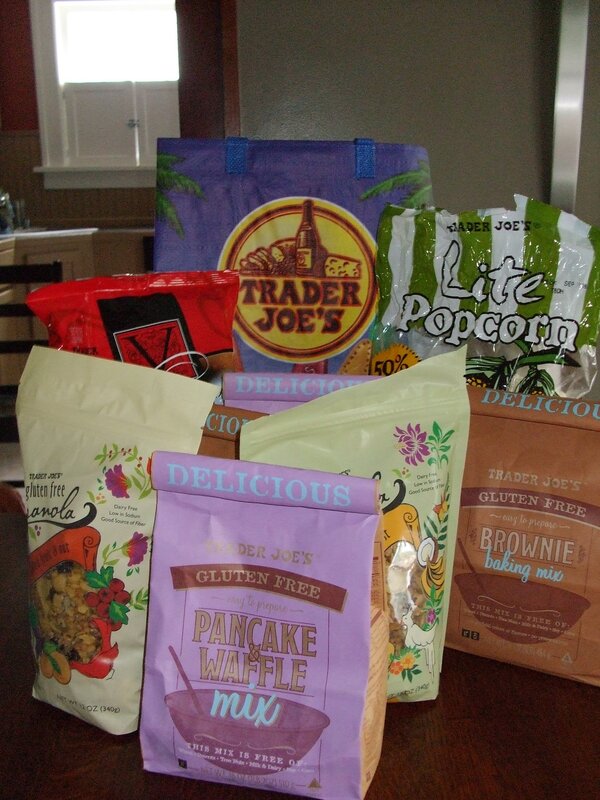 This past weekend my sister and brother-in-law were in Chicago and came home with a HUGE bag full of Trader Joe’s yummies for us and the cutest bag for the beach! Thanks guys! We love you! AND……check out these cute little guys! Apparently these babies are hard to come by. I can now officially throw out the last of the plastic cups and sippys! (Siggs are good too-they come in really cute styles-but they just don’t make sippy lids like Liam needs. Siggs can still be found at Campbell’s and Scheels). my dry-cleaners! (Beaver Avenue Cleaners in Beaverdale) I’ve gone to this place for years and have always noticed a tiny little sign by the street indicating GreenEarth Cleaning. I had never thought much about it before until Josh dropped some things off yesterday and came home with a brochure. They are the ONLY dry-cleaners in the state who use GreenEarth cleaning. Instead of perchloroethylene (which has been tagged as a Toxic Air Contaminant by the EPA) my cleaners uses pure liquid silicone (liquefied sand!) So, there are no harsh chemicals, no toxic smells, and you don’t have to air out your “clean” clothes before you wear them. After reading this book, I have been much more aware of everything we breathe on a daily basis. GreenEarth is the only process they use, so if you’re looking for a little perchloroethylene in your clothes and body, you’ll have to go elsewhere. I just finished reading (devouring) Healthy Child Healthy World by Christopher Gavigan. I can’t even remember where I first heard about this book, but I picked it up and read it in three days. It is FULL of information on raising children in a healthier, greener, safer environment at home. It’s one of those books that I totally recommend but I can’t even begin to explain it. There was almost too much information and I know I shouldn’t have read it so fast, but I couldn’t put it down. I found myself shaking my head and was astounded at the the chemicals the FDA allows into almost everything in our homes. Here’s one brief example. In Europe, there are 1,100 chemicals banned from cosmetics. In the US, 9. Yes, you read that right. 9. That was just one statistic and there are tons more scattered throughout the book. Sickening, right? At times it can be very overwhelming because it seems like we just can’t win. There is crap in EVERYTHING. We shouldn’t drink tap water because the of the chemicals and lead; we shouldn’t drink bottled water because of the high levels of BPA. So, what DO we do? This book not only pointed out the startling truth about our environment (within the home), but it gave great tips and alternatives. Each chapter is dedicated to a different area of your life or home (preparing for baby, cleaning products, food, beauty products, toys/clothing, lawn/garden care, water/air, and home improvements). Another awesome thing about this book is that there is a 28 page resource section at the back that lists hundreds of products and web sites. I HIGHLY recommend this book and if you have time, check out the Healthy Child, Healthy World web site. There are a lot more great articles and links found on their page.